The Bikes I’m interested in, at this moment. The KLR-650. Like a Jeep Wrangler, I’ve always wanted one. And like the Wrangler, when it finally came down to getting something – I always got something else…. And I’ve always kicked myself for passing on the chance. But I’ve been on a new kick lately – I call it “Finally Getting What I’ve Always Wanted”. Those things that I’ve always wanted… I’ve been getting them. One of these days – I’ll get my Wrangler. And In the Garage next to it will be a KLR-650. Because. I don’t know why I’ve always passed it up. Maybe it’s because the WANT is better than the HAVE. Or the fear of that being the case. The newest version though addresses my two considerations that have caused me to pass it up. 1 is the KLR Doohicky and 2 is the seat. 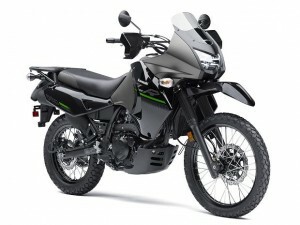 That being said, the KLR is most likely going to be the bike I end up with next. But we’ll see. The STAR Bolt R Spec. It remains in my mind as a bike I really want. If I was to get a new bike – this is probably the bike that I should get, as it represents pretty much what I’ve been looking for… A simple runabout for pure cruising enjoyment. Nothing fancy or special… Simple. But satisfying… it scratches that “I need to take a ride” itch. It has short legs… So not interstate travel… but around town on a nice day to run light errands and goof around… The Bolt-R is probably ideal. That and I think it looks just awesome for what it is. But I think really this would be a horse for the stable if I had other horses for more specific purposes of Sport and ADV. This bike… The FZ-09… I was with friends when I first got my hands on this one. It’s the new style of “Standard Bike”. But Yamaha took Standard and gave it a mohawk. This bike would bring out the Hooligan in me. It feels like it’s as light as a Mountain Bike, yet has Big Bore Punch. That’s a wicked combination. I could ride it nice and sedately passed the cops, and then when I get out of sight – instantly Wheelie like a total squid. 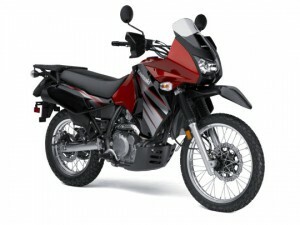 I could probably get this one before the KLR or the Bolt-R, it’s that likable when I see it up close. And if you throw a leg over it – You will want it. This bike also makes way too much sense. It’s like that friend of yours that is way too smart for his own good and comes up with Evil Genius plans that sound perfectly well reasoned and logical and then they get you in trouble. Because one day I want to ride across Continents and screw BMW. This is my Hail Marry dream bike. Load it up with some luggage and a backpack and go hunt Orc with this bike. It’s name is Adventure. 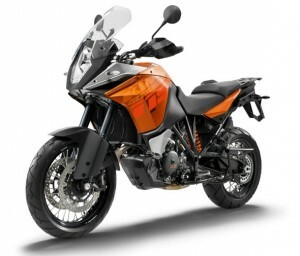 No, seriously, it is… the KTM 1190 Adventure. There are two versions… Adventure and the Adventure R. And I don’t care about the differences. Either one would make me the happiest man on Earth… and then I’d want to go around that Earth. Or at least Coast To Coast following back roads and exploring what needs to be explored along the way. KTM should sponsored The Long Way Around instead of letting BWM take the show. 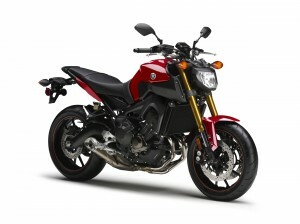 This is the evolution of the concept that Yamaha’s FZ-09 was playing with. KTM’s Super Duke. If the FZ-09 was Dr. Bruce Banner, then the Super Duke is The Hulk. It got big, gnarly and pissed off. It’s a monster. It’s brutal. It’s a rage beast. And that’s what I love about it. This thing is all about aggression, making no apologies for it. It’s the 2 wheel version of a Shelby 427 Cobra, but with less manners or concern for what is socially acceptable or politically correct. This is a Dream Bike right here. 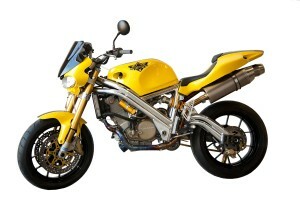 Should Hollywood buy the Uprising Saga and make movies out of them… I’ll have one of these bikes. And I’ll take it to the California Super Bike School and have Keith Code teach me how to control this beast. 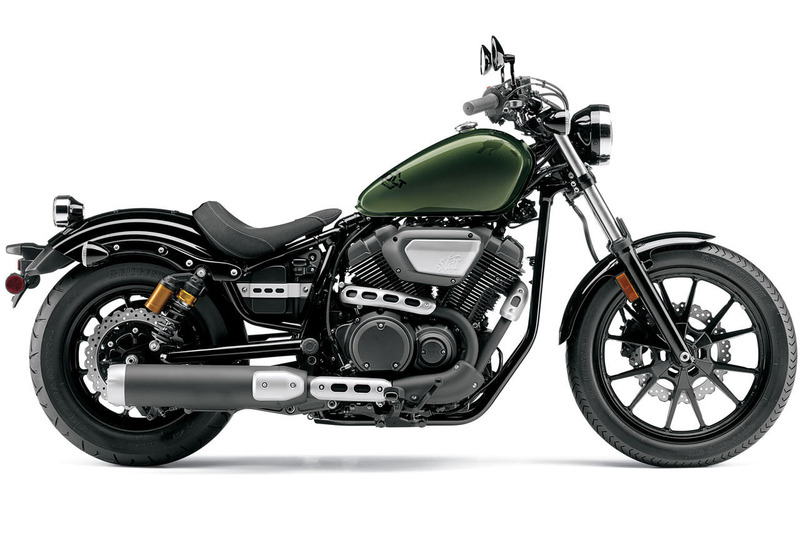 Keeping with the theme of taking a bike type and having a reasonable version and an dream version of it… This is the Dream Bike option for the Star Bolt R. That Cruiser bike just for the sake of Cruising. This is the Victory Vegas. I looked at the 8-Ball version and love it… a lot… And then other versions. There was one locally that was eyeballing before I left my job. Had I not left that job – I probably would have got it. The Vegas “FITS” me. Head to Toe. Or should I say Bars to Pegs? This is America’s Other Motorcycle Maker… Victory pretty much has everything you would want in a Motorcycle like Harley, but done better. Seriously – if you even THINK you might want a Harley – go to a Victory Dealership and take a good hard look. The Victory is a step up. It just is. Okay, now this is a bike that is intriguing me. If I could find one. This is a US HIGHLAND “Viking”. It’s a Liter Class V-Twin. Very light weight, very compact. It’s what I loved about my beloved Honda Superhawk… without what I didn’t like about the Superhawk. 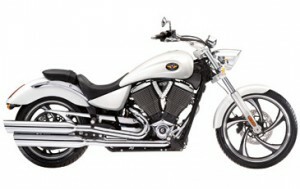 (Side Mounted Radiators) This bike could replace the all the other bikes on my list save for the ADV machines. There is something about this… I really want to get to know US HIGHLAND better. They put out a bike… Read the Review from 2011 here. It doesn’t look like they are marking the Viking or the Enduro that they were also developing. I hope they enter the US Market as a serious production Bike Maker and not just Engine Builders. I’m a fan of something called TankVests… check them out there at TankVest.com. Adding your Gear Packing Accessories to your Bike like that, that’s brilliant. Completely brilliant. It’s one of those Forehead Slap things. How come this hasn’t been out there for 20 years? I want of these for my KTM. 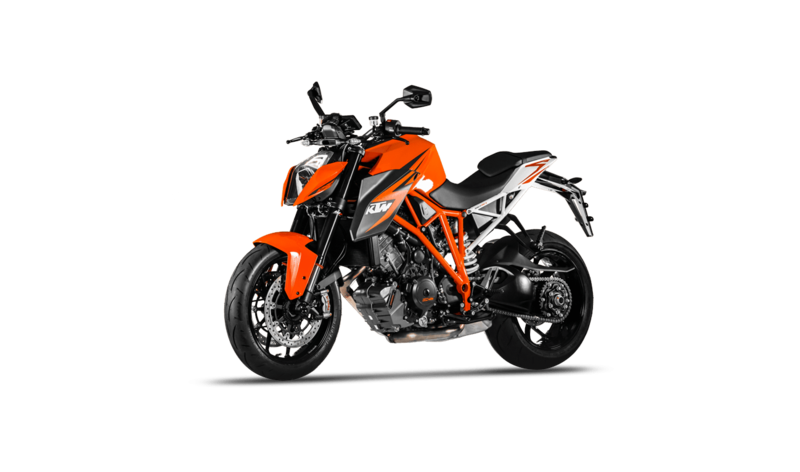 Unfortunately they don’t make then for the 525 MXC… And there is not a lot of call for it since that bike has been discontinued by KTM. If you have a 525 MXC and are near West Virginia, or could ride over there on your machine… TankVest might be able to make us a set! Cool eh? If you have a KLR650 though… Just get one. They are making something pretty cool and it’s a good company that can use some support. So check them out! I’ve been wanting one of these bikes for about 10 years now. It’s the Two Wheel example of an SUV. Go anywhere, do anything… if Jeep made a Motorcycle, it would be this. You see them around town, passing through, usually overloaded with gear and stuff… going on Adventures… making me think about where they had been… where are they going… and wishing I was going too. This has really put an Enduro type bike on my Radar. While I keep looking at others, I always come back to the KLR-650. It’s not just me. The US Army and Marines have purchased hundreds of these KLR’s. The Military versions are outfitted with Diesel engines and 8 gallon fuel tanks. Go anywhere. Do anything. The KLR is that bike. It’s not the best of the Enduros… the fastest… the easiest… whatever. It’s a solid bike. That’s what I want. Sure, it looks like Crow T Robot, but come on… it’s a rig that gets you there and back again. If Bilbo Baggins had one of these, The Hobbit would have been a Short Story. One day I will own one of these, and I’ll ride the hell out of it. 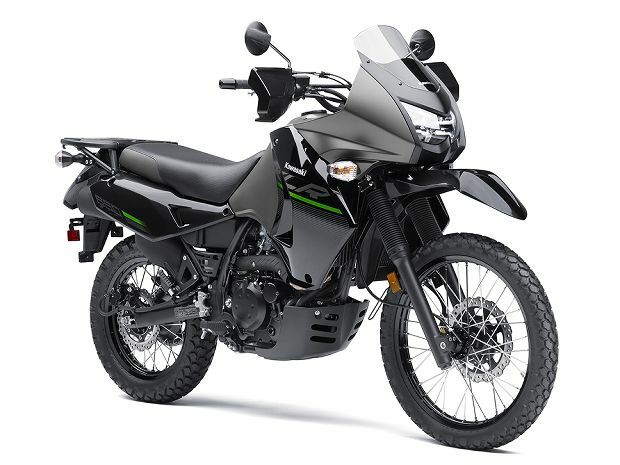 I want a stable of different bikes… so wanting this one is not exactly me saying I don’t want another one like a Vstrom, Tiger or BMW enduro… I’ve just always wanted a KLR.